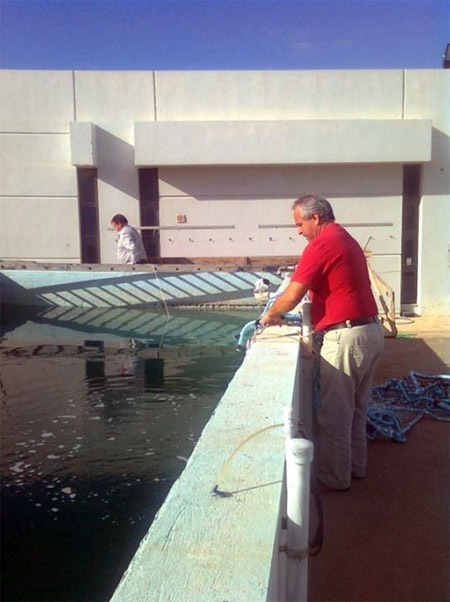 The scientific staff that is going to implement the proposed project stems from the Institute of Marine Biological Resources (IMBR), which is going to manage the project, the Institute of Aquaculture (IoA), and the Institute of Marine Biology and Genetics, all sited in the Crete branch of HCMR in the “Thalassocosmos” underwater technological park in Kato Gouves-Heraklion. IMBR, has as mandate to provide fundamental and advanced science and advice in the field of fisheries and coastal zone management and to support the national and E.U. policies in these fields. IMBR is involved in a variety of research, development and demonstration programmes and has large experience in fisheries-ecosystem related studies, gained through many EU projects, as well as through participation in international working groups. Recently finished projects: ODEMM, DEEPSEAFISHMAN, MEECE, SuSy, CoralFish, FISBOAT, BECAUSE, EFIMAS, NECESSITY, PRONE, CAFÉ, AFRAME, SARDONE, MESMA, BADMINTON, REPRODUCE, MADE, JACKFISH). IMBR has large experience in managing large complex projects as well as collaborative projects with the privet sector. Some typical projects of the nature are: INTERISK (Management of transborder risks on water quality in the Balkans), EPAN (Strengthening institutional capacity of public and privet sector in fishery), LVFRP (Development of the tri-national fisheries data management system in Lake Victoria fisheries), SIPAM (Development of the Mediterranean aquaculture data collection system for the FAO, www.sipam.org), EPSAD (Development of the data collection system for the Greek fisheries). IMBR maintains excellent contact with the fishing industry having a day to day contact with the fishermen in the framework of the monitoring of fishing activity. Additionally, IMBR provides training courses to several fishers groups and advice to improve gear efficiency, gear selectivity but also to resolve conflicts between different fishery segments. IMBR has performed several studies dealing with the economic performance of the fishing fleet and the socio-economics of the fishing sector.